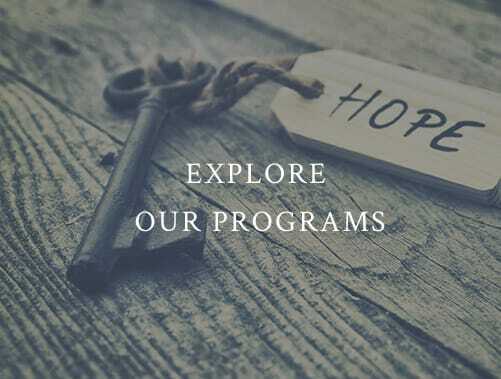 Experiential therapy provides hands-on activities to help you recover from a drug or alcohol addiction. In this treatment method, you’ll experience these life-changing therapies, learning about yourself and your addiction through physical pursuits. In addition, this type of therapy helps you work through your feelings and emotions while enjoying new ways of keeping yourself focused and healthy. Overall, experiential therapy helps young adults struggling with drug or alcohol addiction work through their feelings and emotions. Fortunately, you’ll feel like you’re not even going through therapy. This is because experiential therapies take place in comfortable environments like the outdoors or a creative studio. In experiential therapies, you gain a stronger sense of yourself while overcoming past traumas. You learn how to face life issues and stress without using drugs and alcohol to escape them. Talk therapy scares many people. Sometimes it takes time and effort to open up about your thoughts and feelings, especially as a young adult finding your place in the world. However, in experiential therapies, most people open up more easily. At the same time, these types of therapy mimic real-life experiences and stress. You learn how to overcome cravings and triggers while taking part in social, physical, or creative activities. Experiential therapies treat a wide range of conditions occurring with addiction. These conditions include depression, anxiety, OCD, eating disorders, and PTSD. Overall, they give you the necessary skills for relapse prevention. Although these therapies sound like fun and games, they allow you to heal. Therapists guide you through the sessions, including treatment exercises created for your specific needs. Of course, experiential therapies work with other treatment methods as well. Through experiential therapy, you’ll gain new interests. As you participate in activities you never experienced before, you’ll find some you really enjoy. This expands your horizons and gives you more opportunities to enjoy life’s adventure. In Asheville, North Carolina, Red Oak Recovery® provides men’s and women’s addiction recovery programs for young adults. At Red Oak Recovery® you gain lasting sobriety alongside peers. This treatment includes hybrid programs which combine outdoor wilderness activities with trauma-focused therapy. At Red Oak Recovery® you experience holistic healing for complete wellness after addiction and co-occurring conditions. You join peers in the beauty and safety of North Carolina. At Red Oak Recovery®, the outdoor wilderness combines with clinical and nutritional programs in the perfect setting for strong recovery. If you or a young adult you love suffer from addiction, call Red Oak Recovery® now at 866-457-7590. The help you need for a better life is available in Asheville, North Carolina.